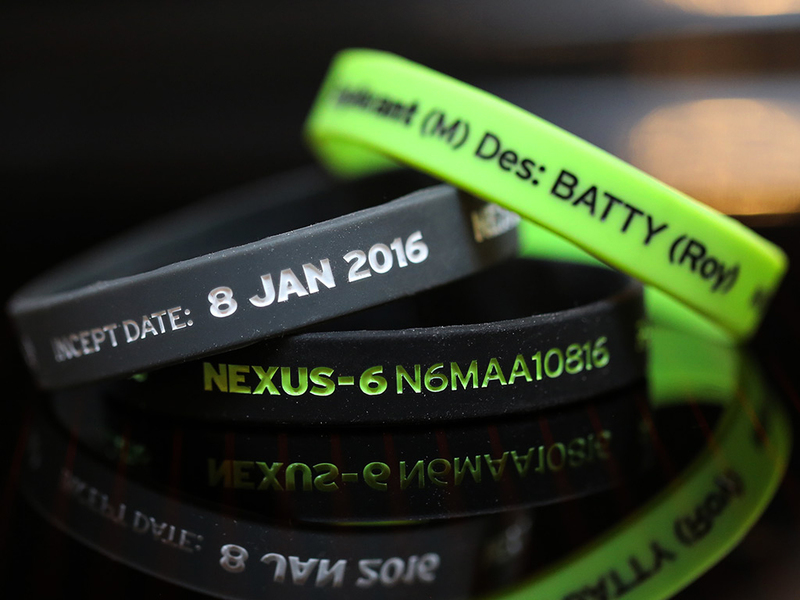 We're celebrating replicant Roy Batty's incept date (8 January 2016) with these three colour filled silicone wristbands. 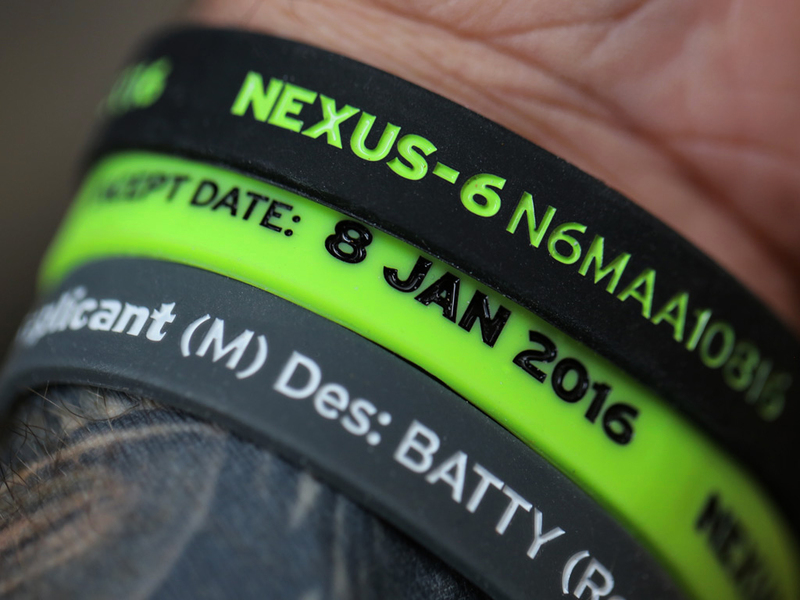 The text is debossed and ink filled to protect the design from wear over time. Inspired by the 1982 film, Blade Runner.